Finally the autumn mood has also kicked in for me and when I get home from work, all i want to do is relax somewhere cozy and warm, maybe have a nice cup of tea and something that fits perfectly with that is a warm and juicy fruit crumble. 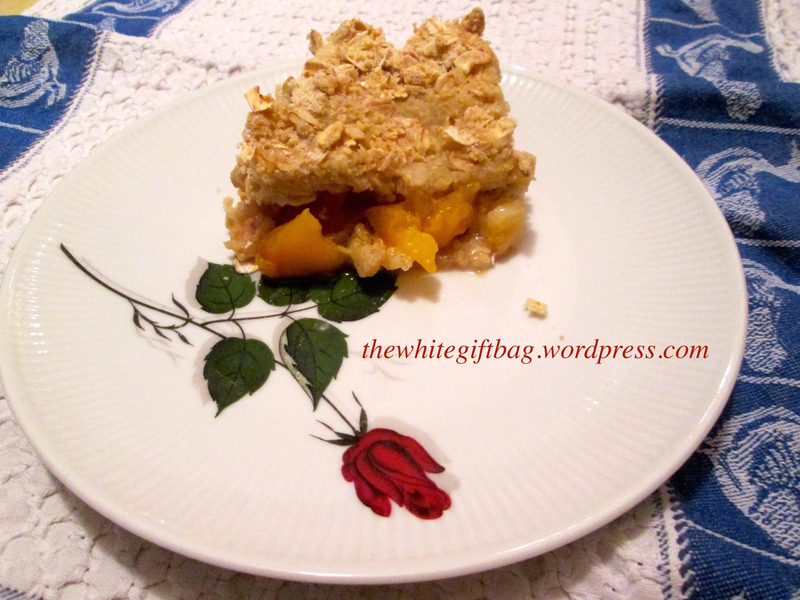 I'm still not out of ideas for what beautiful things one can do with apples, and I also came across some great posts on other blogs so this might not be over yet ;) The recipe I'll share with you today will not be disappointing! 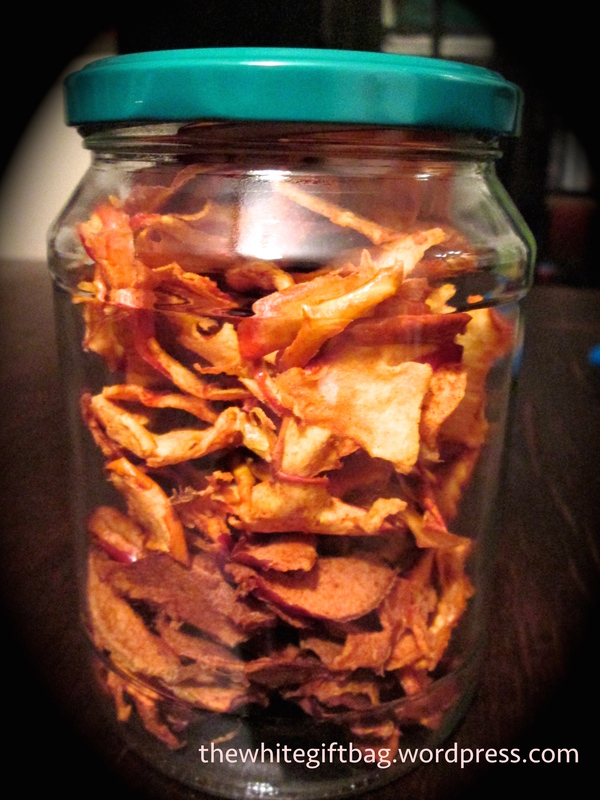 Apart from being delicious, this Apple Peach Crumple/Crisp is also suitable for vegans. I'm not a vegan, but I love to try out vegan recipes from time to time. On my journey to a more sustainable lifestyle, I try to take one step at a time, but I'm very aware of the impact of animal product consumption. So, at the moment I am at a point where I manage to eat very little meat. I do eat meat at restaurants and dinner parties from time to time but I only do so, when I'm sure it will taste good and then it's something special. Sometimes it happens, though, that the choices of vegetarian meals are very limited. I hate nothing more than eating meat that's tasteless because that makes me feel even more sorry for the animal that had to die for this.